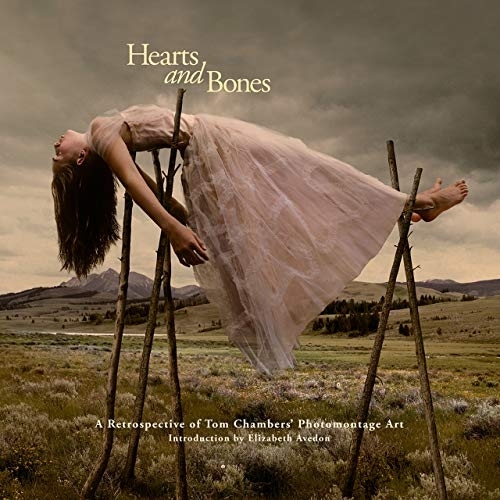 A Retrospective of Tom Chambers' Photomontage Art. Unicorn Publishing Group, Chicago, USA, 2018. In English. 208 pp., 125 color illustrations, 11x11". For over twenty-five years Tom Chambers has been telling stories through photomontages. These stunning images, blending the everyday with the fantastic, are inspired largely by travel in places as varied as American west, New England, Mexico, Italy, and Iceland. Chambers uses photomontage to present unspoken stories that illustrate fleeting moments in time and are known for being extremely evocative, eliciting feelings ranging from tranquility to turbulence—and all the points in between. Through his intentional use of magical realism, Chambers' photomontages look believable, but improbable. Each, in fact, has been carefully constructed, using both planned images and ones that unexpectedly enhance the story he wishes to tell. Through such techniques Chambers moves beyond documentation of the present in order to fuse reality and fantasy into musings about the possibilities of the future. Signed copies will be signed by Tom Chambers on a tipped-in sheet. Due to the popularity of these limited edition prints, orders will be fulfilled in the order in which they are received. Limited Edition of 25 copies (plus 2 Artist Proofs) of each of three different archival, pigment ink prints (9½ × 9½ inches), protected in an acetate sleeve and inserted loose into a signed copy of the book. 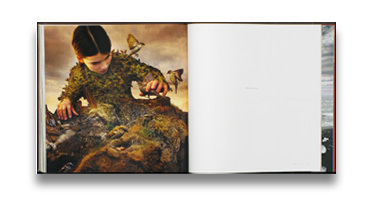 Each image is printed by the artist, and signed and numbered on verso. Customers are limited to one of each print. Limited Edition [A]: Saccharine Perch, 2009. Edition of 25 copies (plus 2 Artist's Proofs). Limited Edition [B]: The Goatherd, 2009. Edition of 25 copies (plus 2 Artist's Proofs). Limited Edition [C]: Prom Gown #3, 2005. Edition of 25 copies (plus 2 Artist's Proofs).